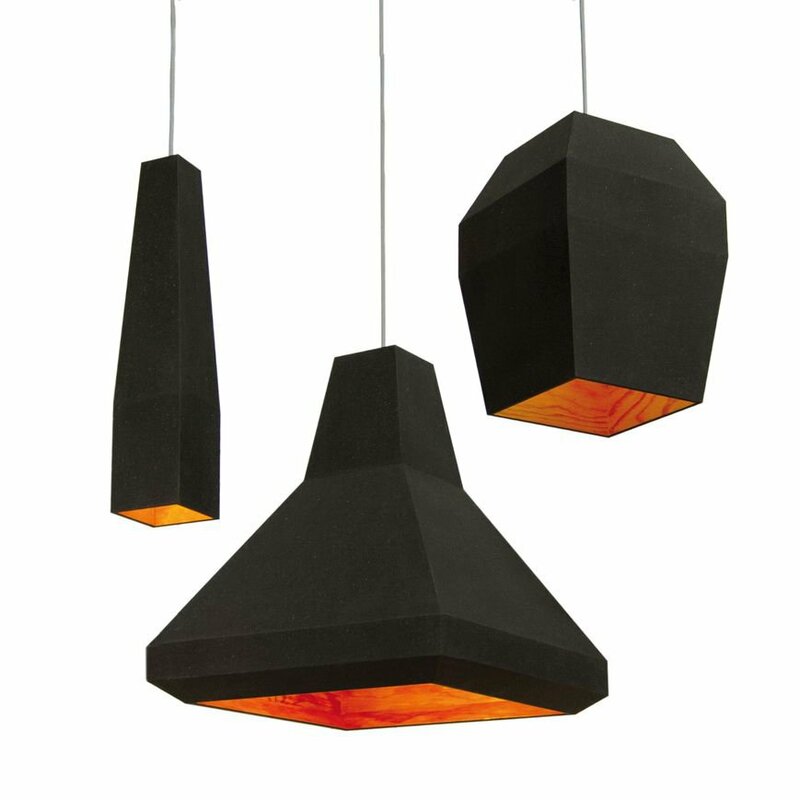 KOMAT Lovaa is black as coal and has clear polygonal surfaces like a diamond. 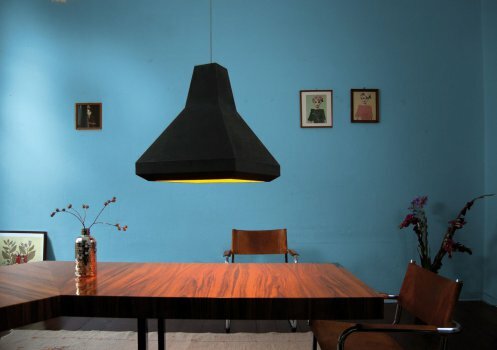 It can immerse a cosy corner or a whole room in warm light. Lovaa is covered with an exciting organic material of recycled leather. The pinewood’s grain is primed with coloured polishing oil. 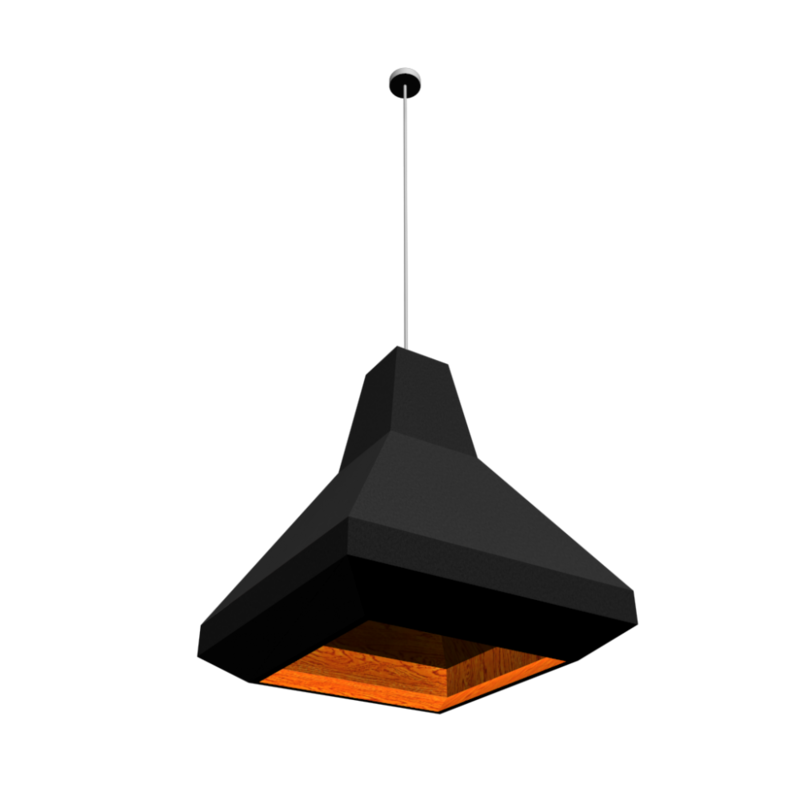 This series of lamps can be a small or a large fire, warm glowing embers or a blazing inferno.